...Only to return two years later with the 'In The Army Now' album; bassist John "Rhino" Edwards and drummer Jeff Rich making their presence felt on the romping 'Rollin' Home', upbeat 'Red Sky' and unforgettable Bollard & Bolland cover 'In The Army Now'. Through the trio of B-sides, 'Lonely', 'Don't Give It Up' and 'Heartburn', none of which featured on '...Now' while somehow being better than all the non-singles that did, the band suddenly found a smooth, slick AOR groove that suited them remarkably well. A fourth single followed, the parp-tastic 'Dreamin'', a precursor of the keyboard heavy output the following years would yield. However, 'Dreamin'' had initially been intended as the first single from the album before its name was changed from 'Naughty Girl', with the planned B-side of 'No Contract', again from '...Back'. Pulled before its release, '...Girl' is reintroduced here and as such, becomes the biggest draw of the entire twelve single collection. The 'Ain't Complaining' album arrived in 1988 and three singles were released, the catchy, hummable title track, the rather slushy and icky 'Who Gets The Love' and 'Burning Bridges (On And Off And On Again)', the latter possessing one of the cheesiest keyboard lines to grace the UK Top Five! The first two came with exclusive B-sides, 'That's Alright', which isn't really, and the rather tasty 'Halloween', whereas 'Burning...' came paired with the classic 'Whatever You Want'. Also in 1988, Quo got behind the Sport Aid charity push with a re-working of their classic John Fogerty cover, cunningly retitled 'Running All Over The World'. Often missed off compilations and collections, it's good to have it included here, alongside its flip track and '...Complaining' number 'Magic'. Leaving two singles from 1989's 'Perfect Remedy' to round this collection out, the steady smoothness of 'Not At All' and vintage, but updated and questionably keyboard-heavy 'Little Dreamer'; the pair having the ignominy of being the first time a Quo album had failed to provide a single that would go higher than Number Fifty in the charts. It's pretty easy to hear why, the B-side pairing of 'Gone Thru The Slips' (no wonder) and the surprisingly excellent 'Rotten To The Bone' at least adding value by not being from the parent album. 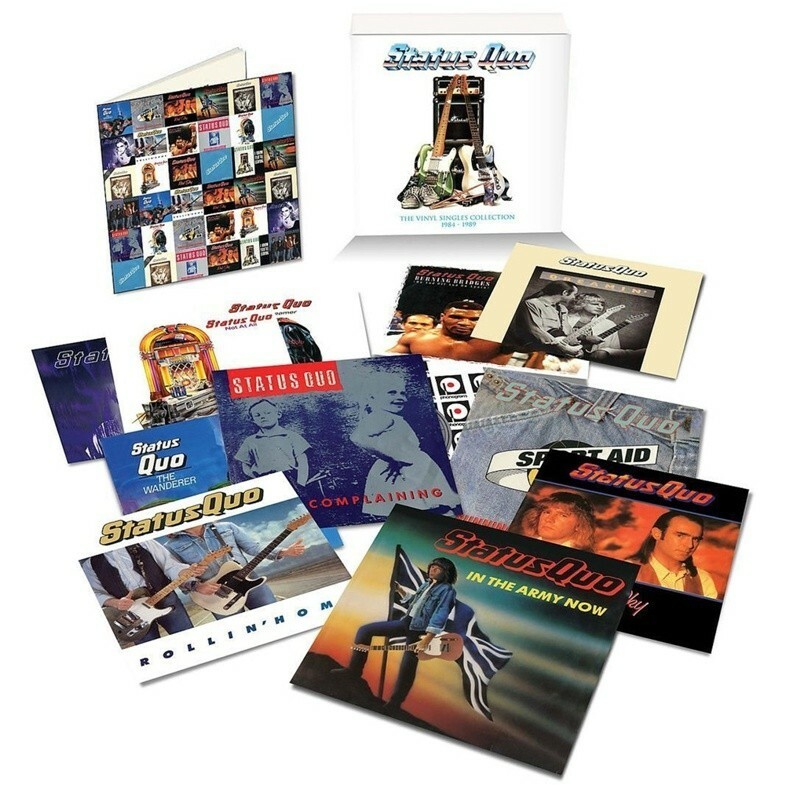 Few bands can claim to have released twelve consecutively top-notch singles in a row, and with part three of this series, Status Quo finally fell into that category. However, there's more than enough excellent music and a few welcome surprises here. 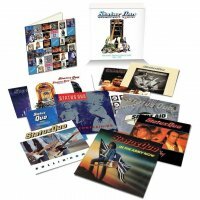 Add in that the box-sets themselves are things of beauty and no Quo fan should be without one.